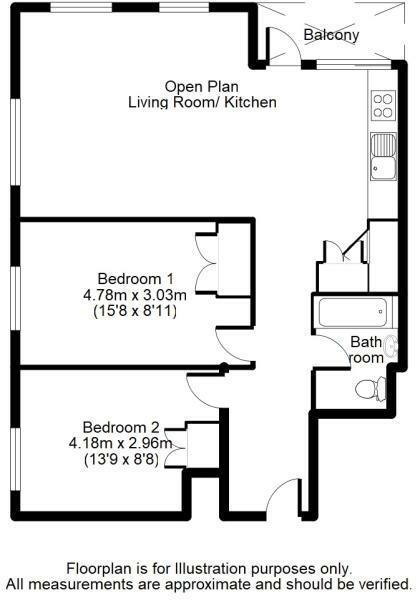 Available to let from April, unfurnished. Block A of Wellington Close has undergone a complete transformation externally with new windows and cladding, turning this once dated building into a modern delight. The owner has taken the opportunity to refurbish the whole apartment throughout, creating a large open plan two double bedroom apartment located on the first floor within the centre of Walton on Thames within easy access to High Street shops, restaurants. River Thames and public transport. The accommodation boasts a large open plan kitchen/lounge with new appliances and wood flooring and balcony, two double bedrooms with built in wardrobes, modern tiled bathroom and underfloor heating and LED lights throughout. Communal gardens and parking available. This property is marketed by Arthur Samuel Estate Agents, Walton on Thames at £1,150 per month. Rightmove has calculated the price per week for comparison purposes only. Property reference ASL190165. The information displayed about this property comprises a property advertisement. Rightmove.co.uk makes no warranty as to the accuracy or completeness of the advertisement or any linked or associated information, and Rightmove has no control over the content. This property advertisement does not constitute property particulars. The information is provided and maintained by Arthur Samuel Estate Agents, Walton on Thames.